NAMBOOLE – URA FC will be hoping to continue their unbeaten start to the StarTimes Uganda Premier League when they host inform Police FC at Namboole on Saturday afternoon. The Tax Collectors have been unbeatable this campaign but the fact that they have won only two of their first seven games should be a major concern going into this weekend’s fixture. In the current run, URA has only scored four goals, an issue to head Coach Sam Simbwa who claims his side are performing below per at the moment. “Yes we are still unbeaten but punching below our weight. “We have issues in attack as we are not scoring as many as we should. “I am so concerned but hopefully the situation is corrected as soon as possible. For their Saturday opponents-Police, after a disastrous start to the season which saw them lose all of their first three games, they have now gone four unbeaten, winning all but one in that period. The only time they failed to win in their last four games, was when they conceded an injury time equalizer at home to Maroons on match day 6. Juma Balinya, Ben Ocen, Paul Willa and Ashraf Mugume are the key men for the Abdallah Mubiru’s Police side coming into this game and all four will have to be at their absolute best if the Cops are to topple URA. This will be the 17th meeting between URA and Police since January 2011. 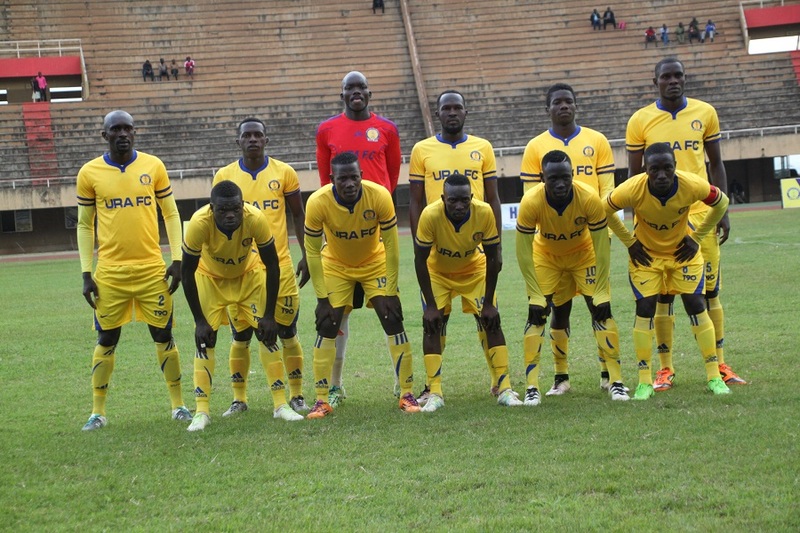 URA have won nine of the meetings in that period with the Cops triumphing on only two occasions. The reverse fixture last season saw Police defeat URA 2-1 and it was the Cops’ first victory over the Tax Collectors since April 2014. URA have gone 11 games games unbeaten since the back end of last season (W3 D9). At home, they are on a 7 game unbeaten run that has seen them win 3 and draw the other 4 games. For Police, they have won three of their last four away fixture since May. The only time they failed to win a fixture on the road in that period was in the 2-1 loss at the hands of Paidah Black Angels in their opening game of the current season.